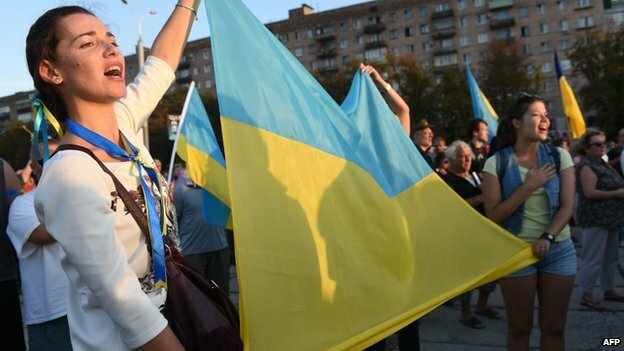 Ukraine has a proportional electoral system with closed lists. Voters do not elect individual candidates, but can only approve of predetermined lists presented to them by various political parties or blocs. The members of the Ukrainian parliament, the Verkhovna Rada, become deputies only in so far as they are included in their bloc’s or party’s lists – the composition of which is beyond the reach of voters. The electoral success and resulting faction size of parties or blocs in parliament is thus mainly determined by the attractiveness of their ideologies, and charisma of their speakers. Individual party list members play little role in Ukrainian parliamentary elections which are contests between large political camps and their more or less magnetic leaders. This is in contrast to majoritarian or mixed electoral systems where the local standing of regional – and not only national – political leaders plays a prominent role in determining the makeup of the national legislature. For better or worse, Ukraine has abandoned first its early post-Soviet majoritarian and later its mixed electoral systems. It now conducts (except for a 3% barrier) purely proportional parliamentary elections in which individual list members, other than the small circle of nationally known party leaders, play little role during the electoral campaigns. Accordingly, Ukraine’s Constitution ascribes to parliament’s factions, and not to MPs, a decisive role in the formation of a governmental coalition. A government has to be based on the support of registered parliamentary groups, and cannot be voted into office by individual MPs. True, such a rule gives excessive power to faction leaders and belittles the role of the deputy as a people’s representative. Yet, the factions’ exclusive role in government coalition formation is consistent with, and follows from, the electoral system. 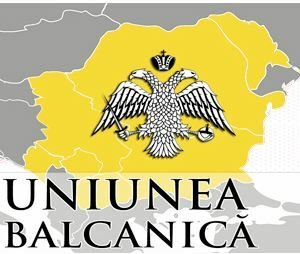 In so far as voters are not given a chance to express their opinion on individual candidates, the elected deputies have to act first and foremost as faction members. Within proportional electoral systems, it is not them as individuals, but their factions as fixed political collectives recruited from prearranged lists that represent the voters will, in legislature. 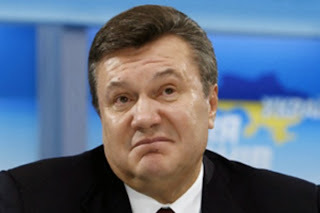 In spite of these circumstances, Yanukovych, on March 11, 2010, pushed through a government that is based only partly on party-factional support. The three factions that form the current coalition do, by themselves, not have a majority, in the Verkhovna Rada. Yanukovich’s Party of Regions, Ukraine’s Communist Party, and Parliamentary Speaker Volodymyr Lytvyn’s Bloc comprised after the last 2007 elections only 222 and include now only 219 of parliament’s 450 deputies. 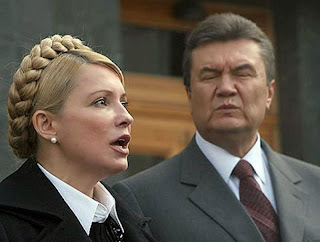 Yanukovich’s Party has found a peculiar solution to this problem by luring away a number of deputies from its Orange competitors – the Bloc of Yulia Tymoshenko and pro-Yushchenko alliance “Our Ukraine – People’s Self-Defense” – in order to form a government coalition. 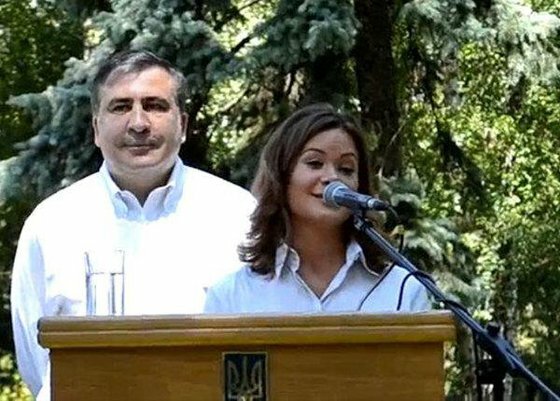 This happened in spite of the fact that these two factions represent exactly those political forces which, during the last parliamentary poll, stood in open opposition to Yankovych’s Party of Regions. 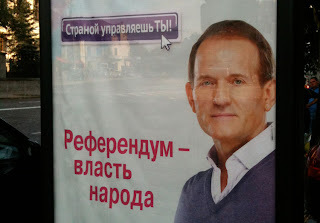 When voters decided to cast their votes for the Tymoshenko Bloc and “Our Ukraine – People’s Self-Defense,” in 2007, they were clearly also voting against Yanukovych’s Party of Regions. 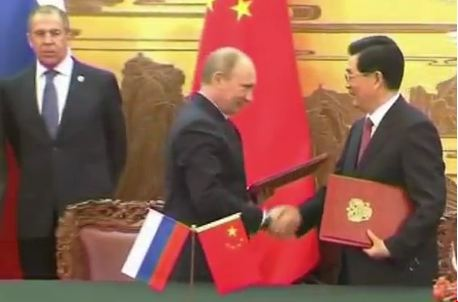 Nevertheless, on March 11, twelve deputies who had become MPs on the tickets of the two Orange blocs signed the coalition agreement that laid the ground for subsequent transfer of almost all executive prerogatives to the Party of Regions. The formerly Orange deputies did so against the expressive will of their initial factions and in manifest disregard of their voters’ mandate. Party transfers during legislative period, to be sure, are not unusual, in young democracies. They occasionally even happen in consolidated polyarchies, like the Federal Republic of Germany which has also a proportional electoral system (partly personalized though). However, in mature democracies such political transgressions usually concern only isolated MPs who choose to pass from one to another faction, for personal reasons. 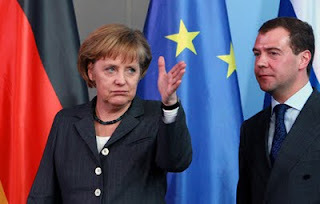 Therefore, the German Basic Law, for instance, upholds the MP’s unrestricted “freedom of the mandate,” in spite of the fact that half of the members of the Bundestag are not elected directly, but collectively, on their respective parties’ tickets – much like in Ukraine. The idea that a relatively large group of MPs could be purposefully drawn from one to another party in order to effectively cancel election results is so absurd that it has received little attention from constitutional engineers, and political comparativists, of Western states. Should such consequential change in the political allegiance of numerous deputies happen, the violation of the voters’ will would be so flagrant to make it appear as a waste of time to seriously consider such a strange, hypothetical case. In unconsolidated pluralistic states, such things, however, do happen. Moreover, as the pre-history of the Orange Revolution showed, Yanukovych and Co. are no democrats. Their poorly disguised falsification of the first two rounds of the 2004 presidential elections, as well as numerous related actions, indicated the Party of Regions’ ambivalent relationship to democratic norms. In principle, it is not necessary that all participants of the political process in a democracy are proper democrats – if the framework and incentive structures within which they act are set up well. 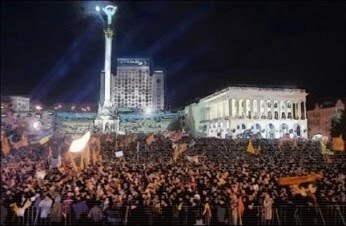 In Ukraine, an important condition that has facilitated much of the progress achieved in democratizing this post-Soviet country during the last years was the influence of pro-democratic foreign actors – whether certain countries such as Poland and Canada, or European organizations like the Council of Europe and EU. However, the international embeddedness of Ukraine’s democracy as a normative frame structuring politics in Kyiv has recently been suffering from ambiguity. A first faux pas was the timing of the European Parliament’s recent resolution approving of an EU membership perspective for Ukraine. 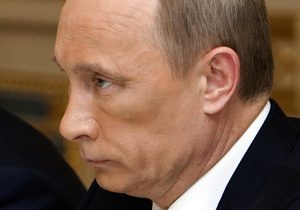 The resolution as such constituted doubtlessly a step in the right direction, against the background of the EU’s earlier policy of indicating much, but promising little, to Ukraine. When the EuroParl resolution endorsing Ukraine’s right to apply for full EU membership was adopted, in Strasbourg, on February 25th, 2010, it was immediately and widely hailed in Ukrainian mass media and by Kyiv’s experts community. Then Foreign Minister Petro Poroshenko even called, on Ukrainian TV, the date of 25th February 2010 a “historic day” in Ukraine’s post-Soviet development. What, however, is difficult to understand regarding that resolution is that it was adopted not before, but after the Ukrainian presidential elections of January-February 2010. It would have been in the vital interests of both the member states and organs of the EU to send such an important signal to the Ukrainian people and elites in advance of, and not following, the recent standoff between pro-Western Yulia Tymoshenko and pro-Russian Viktor Yanukovych. If adopted before the first round of the elections, say, in November 2009, the EuroParl resolution would have influenced, if not restructured Ukraine’s domestic political debate. It might have made the defeat of Yulia Tymoshenko – whose self-styled image is that of Ukraine’s most ardent pro-European politician – in the presidential elections narrower or even unlikely. Instead, the European Parliament’s resolution adoption after the second round of the presidential elections and victory of Yanukovych can now be interpreted as an endorsement of the election falsifiers of 2004. At least, it appears that Yanukovich seems to have interpreted Europe’s new tolerance this way. For instance, on April 2, 2010, he impertinently named Serhiy Kivalov, the former Head of the Central Electoral Commission, i.e. the chief voting falsifier of 2004, as Ukraine’s official deputy member of the Council of Europe’s Venice Commission for Democracy through Law – thereby setting a fox to keep the geese.